The lobby of Dorsett Kuala Lumpur was plunged into darkness but not for long. Its general manager Adele Ang pushed a switch and the 3m-tall Christmas tree twinkled with festive cheer from the strings of lightbulbs wound around its branches. Earlier, Papa Smurf and Smurfette from the Movie Animation Park Studios, dropped in to mingle with invited guests and members of the media gathered to witness the tree-lighting ceremony. This year, Dorsett Hotels are making the Smurf plush toys collection as well as its Dorsett Bear Knapsacks available for sale at RM100nett to collect funds for The Children’s Wish Society and Persatuan Penjagaan Kanak Kanak Cacat Klang. Then everyone went to Checkers Café for a preview tasting of its festive menu. Naturally, the stars of the buffet spread are the roasted whole turkey with apple sage stuffing and leg of lamb, surrounded by sidekicks of roasted root vegetables and sauces such as cranberry sauce and cracked pepper sauce. If you’re not into meat, the Grilled Whole Spicy Barramundi & Banana Leaf Wrapped Stingray is the answer. For those who prefer their meats and seafood cooked on the spot, there’s the grill station, where you make your selection and hand them over to chef Yi Hien who happily obliges with a huge smile. Then there are cold cuts and cured salmon as well as the ever-popular freshly-shucked oysters, mussels and tiger prawns on ice, best savoured with a squeeze of fresh lemon juice. The main spread has plenty to offer, including Braised Seafood With Tofu & Mushroom, Beef Brisket With Mashed Potato, Oven Roasted New Potato With Herbs, Panseared Spiced Honey Lamb, Roasted Chicken Breast With Miso Gravy and Grilled Salmon Fillet In Teriyaki Sauce. I love the white almond soup. Creamy and full of flavour, the hot soup with bits of chopped vegetables, hits all the right spots. Just remember to save some tummy space for dessert. 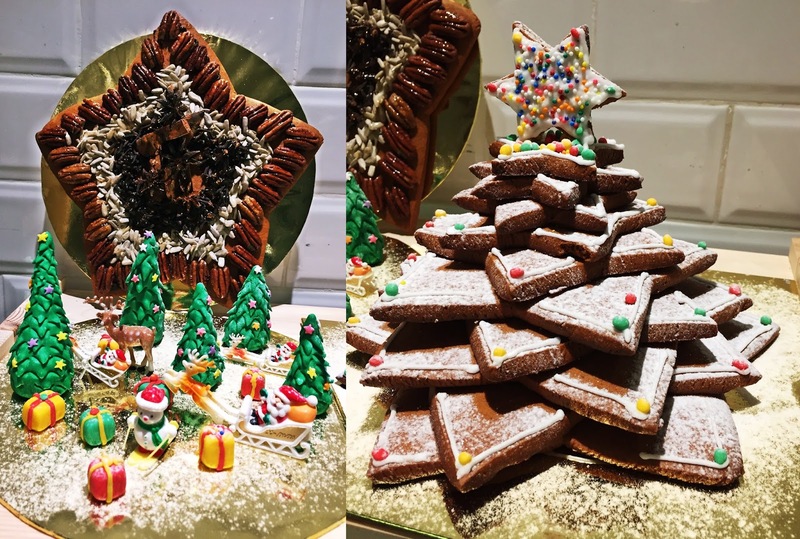 Apart from fresh fruit, jelly and mousse, there are festive treats such as fruit cake, log cake, chocolate fudge, mince pies, stollen, pecan pie and a variety of Christmas cookies. The red velvet cake with cheese topping is not to be missed. New Year’s Eve Dinner: RM118 nett, inclusive of countdown drink; 7pm to 11pm. Diners can adjourn to Level 30 of Dorsett Residences to watch the fireworks. 50% discount for children 4-12 and senior citizens.